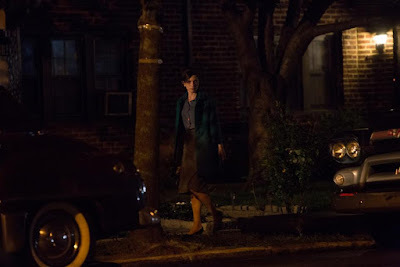 I find it interesting that in today's era in which we see people of color and members of the Muslim and LGBTQ communities killed for no reason (some of whom by law enforcement), we get a movie about a white woman who was killed in front of her apartment. 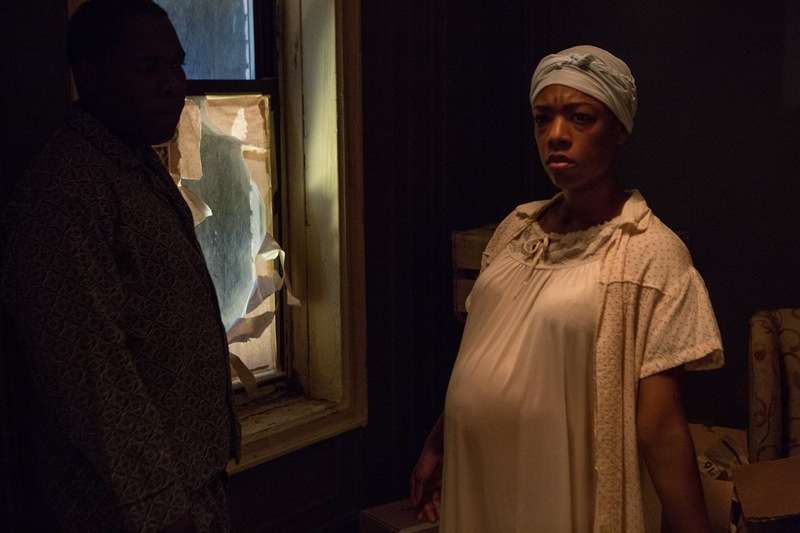 Even more interesting, the movie features Samira Wiley, whose character's death at the hands of police on Orange is the New Black dismayed many viewers. Hollywood, I see you. But 37 highlights a 52-year-old case that too is significant. Kitty Genovese, a 28-year-old woman living in Queens. New York, was raped and murdered right outside her home, and her cries for help were reportedly ignored by 37 of her neighbors--some of whom even saw a glimpse of the incident through their own windows. It's a devastating scene to comprehend, and writer/director Puk Grasten attempts to explore each of their stories in the film, however thinly. There are only six perspectives that are actually told in the film, most thoroughly that of Joyce Smith (Wiley), the matriarch of one of the few black families in the building. Her husband Archibald (Michael Potts) lamented over "getting involved" because as a black man in America, in 1964, he "had enough problems." This is a sentiment that is generally echoed by the other residents profiled in the piece, who each had their own preoccupations--from deteriorating marriages to economic survival and apathy in the face of fear. Whether or not audiences will appreciate these stories, especially once the murder is introduced more than halfway through the film, is left to be determined (the film hits theaters this Friday). But what is missing from 37 is the victim herself. Back in 1964, after The New York Times published an article that focused more on the reported indifference of the witnesses, that narrative virtually eclipsed the actual crime. Genovese was a lesbian living with her partner Mary Ann, at a time when homosexuality was illegal. She was coming home from her work as a bar manager around 3am on March 13 when she attacked. None of that is portrayed in the film (and it also begs the question of where Mary Ann was when the attack was taking place, and if she was awake if she was home). 37 is disturbing for its reported accuracy surrounding the actual death of Genovese, but Grasten doesn't present an effective narrative. It's a slow burn, leading up to a third act that is muffled and lacks power. In fact, the movie seems to encourage you to find out more details on your own regarding the attack and the people involved (or not involved). Perhaps last year's documentary, The Witness, did a better job at illuminating some of these stories, including Genovese's. But sadly, despite inspired performances all around, 37 just doesn't leave an impact.